Because even legends need to lather… Lamb’s Soapworks needed a beautiful custom website that was going to do all that they needed it to do and look beautiful while doing it. 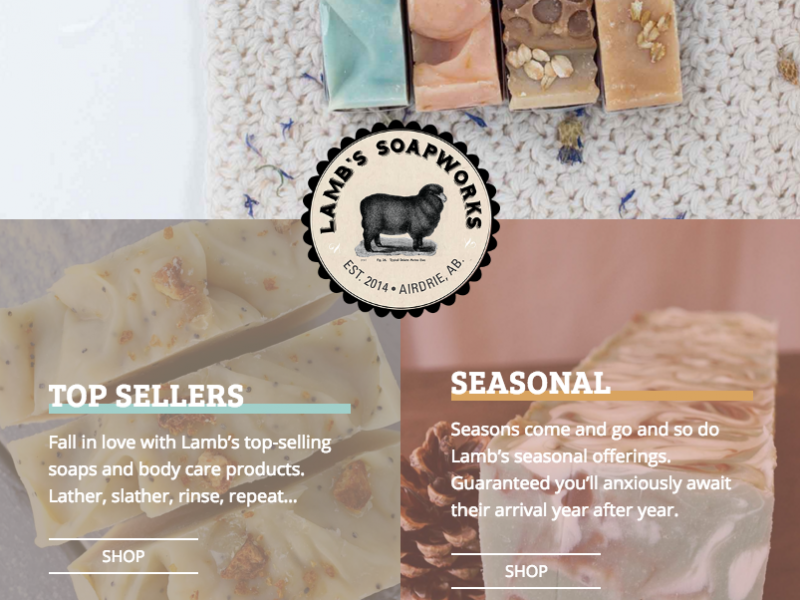 We (us at Switchback Creative) have been working with Lamb’s Soapworks and Lara to create her website look and feel based on her already booming soap products brand. She knows what she wants her brand to be. To be delicious enough to eat, capturing her culinary roots but still be clean, natural and a bit rustic in tone. Working together we created a simple to use website with full shop (coming soon) that will showcase her approach, story, brand and perspective on all things Lamb’s. The design of the site itself is based in very modern design roots but the use of the great photography she has and her gorgeous products the whole process was just a matter of showcasing their beauty in a way that easily allowed her fans to purchase the products online at anytime. Stay tuned for the shop launch and all of the upcoming markets and events that you can meet Lara and get your own bar of soap… because even legends need to lather.